While browsing the booths at Main Street Festival this year, I stopped to admire some artwork and distressed frames by a local artist. As usual, I had two little boys in tow so I got a card from the artist in the hopes to see more of her work, undistracted. The card ended up in a pile on my desk like so many others, and I just came across it a couple of weeks ago. The artist’s name is Lauren Dunn, and I went onto her website to see more of her art. To my surprise, her biography read that she was from a small Mississippi delta town just like me. Of course, I quickly contacted her to set up a time to meet and see the studio. In just a few minutes of meeting with Lauren, I found out that she went to college with my high school best friend. We’re in the same sorority, and we now go to the same church. Needless to say, we became fast friends! Lauren’s Franklin in-home studio is filled with her beautiful artwork. She uses the impasto technique when painting. This technique is where paint is laid on an area of the surface very thickly, usually thickly enough that the brush or painting-knife strokes are visible. 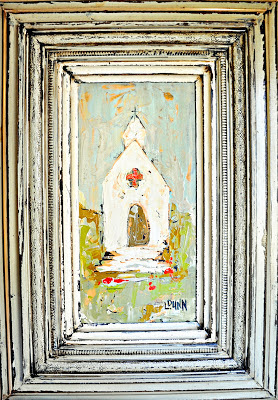 When dry, impasto provides texture, and the paint appears to be coming out of the canvas. 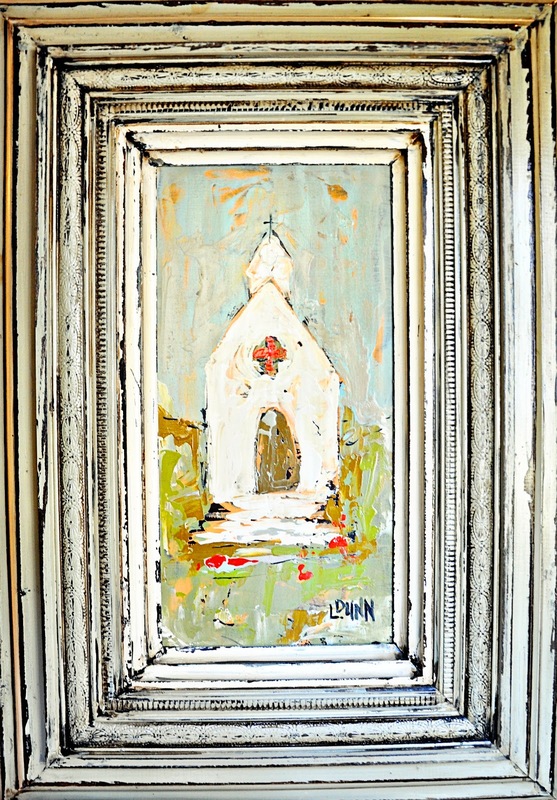 Lauren uses acrylic on wood panels, and many of her pieces are churches inspired by her grandfather, a small town Mississippi preacher. Lauren also does commission work from pictures. Because her paintings are on wood panels, they can be displayed on their own. However, she makes unique distressed frames that add even more artistic detail and interest to her work. Lauren’s artwork can be found in Nashville at York and Friends Gallery and her frames are at Redo in Franklin and Hot Pink in Brentwood. 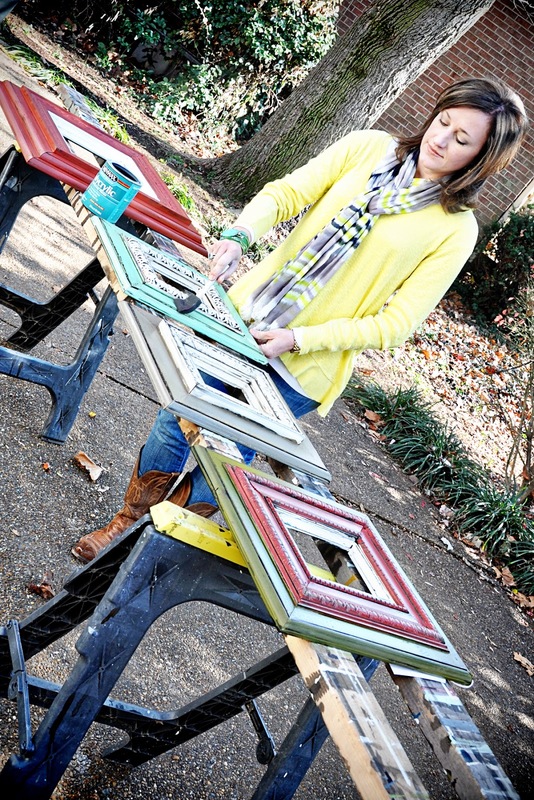 She also has artwork in many other towns across the South and plans to expand. Meeting Lauren was such a pleasure, and I’m so happy to know that there is another “delta girl” living right around the corner! Follow Lauren Dunn on Facebook and visit her site at www.elledeestudio.com.